Enter your address to find the best home phone deals! Looking for high-quality home phone service? This should be a breeze, since there are a ton of providers available in the market. But the variety of options can be overwhelming. It’s a nightmare to find individual provider information. You have to check prices, availability, features, and billing rules for everyone! Local Cable Deals helps you avoid all this hassle. Use our search tool to find all home phone service providers that operate in your area. View all packages and prices, and compare your top three choices. Then simply call us to set up your static-free digital phone service. 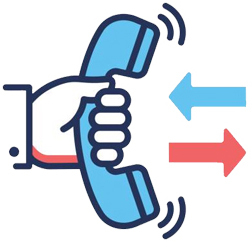 Your local home phone provider might offer additional services, such as cable TV and Internet. Most providers offer highly discounted prices if you order more than one service. These low-price deals are listed as double play (two services) or triple play (three services). Once you have found a suitable home phone provider, be sure to check out their bundled offers as well. Watch thousands of On Demand shows, movies, and series.